Downer’s Road Services business has recently awarded a major supply contract for compaction equipment and chose HAMM for its surfacing and minor civil roller fleet. 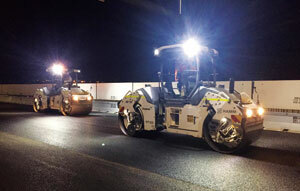 Maintaining long-term strategic relationships is a key contributor to Downer’s Road Services business success. Downer’s focus through this investment was on the total value proposition being offered and ultimately accepted. One aspect was to ensure the latest technology formed part of the offering. To achieve this, Downer arranged a field trial in mid 2016 for compaction equipment at its Somerton facility in Victoria. For this two-day trial, Downer invited a selection of its key operators from around the country to assess and provide feedback. The equipment on display was compaction equipment from all the major suppliers. These operators were able to engage directly with each of the suppliers and drive/test the equipment. The operators then rated the performance, ergonomics and effectiveness of the equipment. This information was used as part of the overall evaluation process. Paul Costanzo, Downer’s General Manager of Assets – Roads, says Downer remains focused ultimately on safety and value. “A lot of equipment simply does not reach our high standards when it comes to safety. Downer’s standards are often industry leading, which means we insist on the latest technology that protects both the community and the general workforce.” Mr. Costanzo says. After a rigorous tendering process which included detailed performance and safety review, the decision was made to accept the outright purchase model put forward by Wirtgen Australia for HAMM compaction equipment. Ian Frost, Downer’s Business Partner – Compaction Fleet, is responsible specifically for the commissioning and managing the transition of equipment into the general fleet. Downers initial purchase was 101 HAMM compaction machines, as HAMM’s forward-thinking technology helped futureproof the assets. Mr. Frost says this was one was of the major factors behind the purchase. “The HAMM compactors were ahead of the rest in terms of technology. We were striving to make sure our technology is future proofed as best it can be, and Wirtgen has ongoing research and development for computer systems that help this,” he says. “Most of the HAMM compactors have integrated computer systems that include onboard telematics. Many synergies exist in expanding the use of telematics technology on our current Wirtgen products, like profilers and pavers, to deliver additional value as part of the proposal. ” Mr. Frost says. Wirtgen also allocated specialist resources to roll out the new fleet and everything it entailed. Stuart Torpy, Wirtgen’s General Manager – Road Technologies, says the field trial in the process is critical for both parties in an arrangement. “Operator input at purchase is critical to ensuring not only that the right machines are selected, but also that due weighting is given to the serviceability, operability and safety of a particularly machine in any procurement process,” he says. Mr. Torpy says the arrangement marked a change from the norm for Wirtgen. “This new arrangement went beyond preparing and delivering rollers. 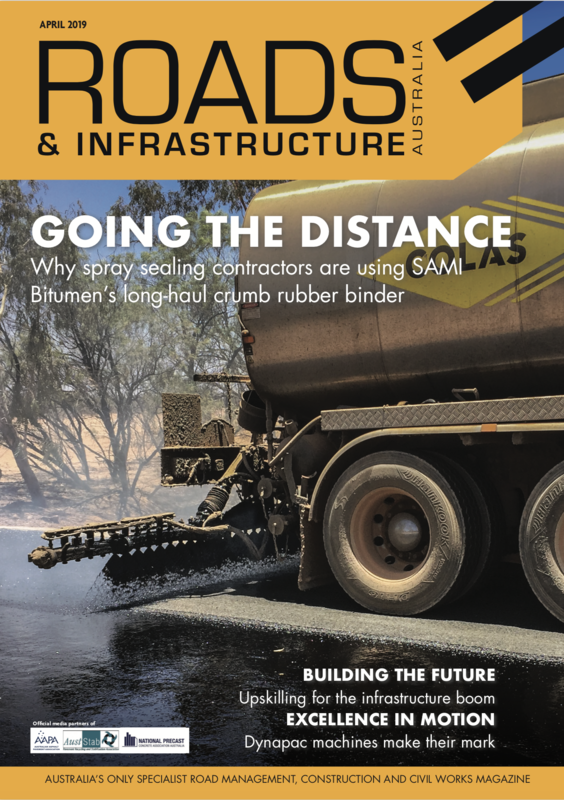 To deliver what Downer demanded, we also had to map and modify internal processes to best fit not only the requirements of the contract, but also integrate with Downer’s revised operating practices and protocols,” he says. 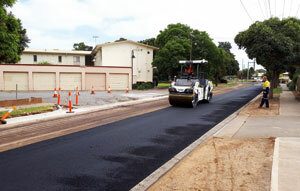 Approximately 101 compaction units were rolled out in Australia, across each state and territory. Each Downer location received training about the usage of the equipment, alongside further service training in certain regional areas. Mr. Frost says the productivity benefits have been evident with the new equipment out on the road and at sites. “They’re providing a good surface finish and have been giving us good results across the board. Having the latest technology is a real benefit, and because of the arrangement we don’t need to worry about the service cost. They’re providing us cost effective, production and safety technology advantages,” he says. As the HAMM machines are a technological step forward for Downer, Wirtgen has spent a significant amount of time listening to operator feedback, which is then assessed for action to assist immediately or in future events. “We’re getting better results out of the HAMM compactors than we previously had been, and they’re involved in projects right around the country. Australia has its own peculiarities when it comes to working conditions, which has had its challenges. We’ve been working closely with Wirtgen to make sure any issues get resolved as quickly as possible with an outcome that’s suitable for us,” Mr. Frost says. The fleet also comes packaged with WITOS Fleetview, Wirtgen’s telematics system. Through WITOS, both Wirtgen and Downer are able to monitor machine performance and optimise individual machines and fleet availability. Mr. Frost says the system presents real-time data on equipment and fuel consumption and notifies the operator and company when maintenance is due. “It’s early days, and with all things, the proof is in the pudding. The system provides us with some valuable data, like if the machine is malfunctioning and needs to be shut down,” he says. Mr. Torpy says there is always more that needs to be done to improve deliverables, like in any arrangement, but the progress that has been made so far has been significant. “Although the future is rarely predictable this Downer and Wirtgen collaboration sees them writing their own script,” he adds.